The International Press Institute (IPI) today called for the release of two Reuters reporters in Myanmar who have been held since Dec. 12 under the country’s Official Secrets Act. 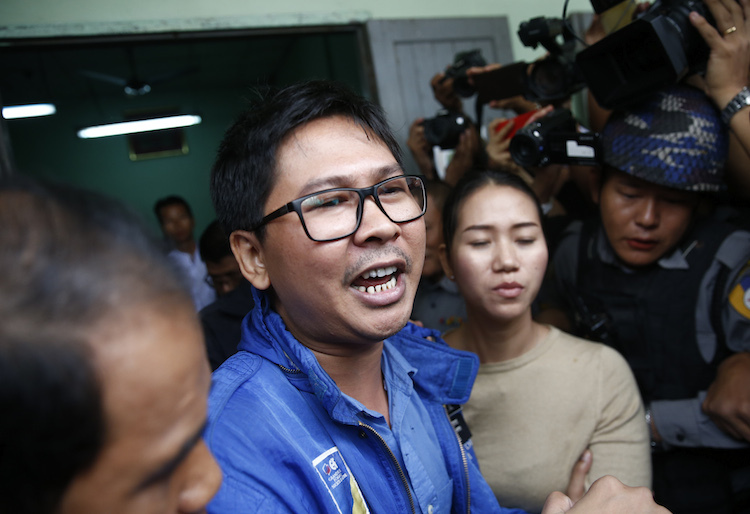 The two Reuters reporters, Wa Lone and Kyaw Soe Oo, appeared in court in Yangon today where prosecutors officially filed charges against them. Due back in court on Jan. 23, the pair could face up to 14 years in prison. The charges come even as international leaders, including U.N. Secretary-General Antonio Guterres, have condemned the arrests and called for the reporters’ immediate release. Wa Lone and Kyaw Soe Oo were detained on Dec. 12 while meeting with two police officers at a restaurant. The pair’s arrest is thought to be in connection to recent articles they had written on the crisis in the western state of Rakhine, where an estimated 655,000 Rohingya Muslims have fled from a fierce military crackdown on Rohingya militants. The Ministry of Information in Myanmar said they were arrested for possessing illegally acquired secret government information and documents, allegedly given to them by the two police officers at the restaurant, who are also suspected of violating the Official Secrets Act. The two journalists had been detained for 24 hours before the government made the arrests public. In addition, Wa Lone and Kyaw Soe Oo were held at a secret location for two weeks before they were allowed contact with lawyers or family members. The government has not given any additional information on the details of the case despite requests by fellow reporters. The rarely used Official Secrets Act dates back to the 1920s, when Myanmar was still under colonial rule. In 2014, the same act was used to sentence a newspaper editor and four journalists to 10 years in prison with hard labor. The sentence was later reduced to seven years. The five were released in 2016, after Aung San Suu Kyi’s party came to power. Even though independent media have flourished in Myanmar since 2012, when official censorship was lifted, journalists are still careful in their actions. Ethnic conflict and military matters are still sensitive and even dangerous topics for journalists in Myanmar. The fear of criminal sanctions continues to lead to self-censorship, while the government is said to be undermining free media in favor of its own information production. 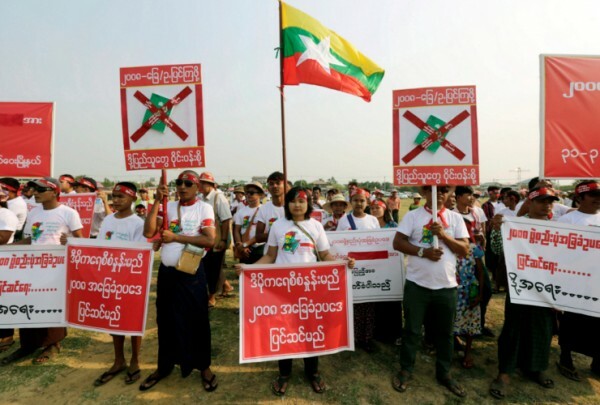 IPI Deputy Director Scott Griffen urged Myanmar to drop the case against the two journalists, which he said threatened the ability of all journalists in Myanmar to conduct their work freely. IPI held its annual World Congress in Myanmar in March 2015, at a time in which the country appeared to be taking steps forward a freer media environment. Government officials promised during the Congress to pass major reforms to enhance press freedom in the country, while Aung San Suu Kyi’s rise to power later that year gave further hope to media professionals in the country. However, progress over the last two years, which have seen continued arrests of journalists and the muffling of critical voices, has been slower than hoped and tricky issues remain to be solved. This story was updated on Jan. 10, 2017 to note the filing of formal charges against Wa Lone and Kyaw Soe Oo.